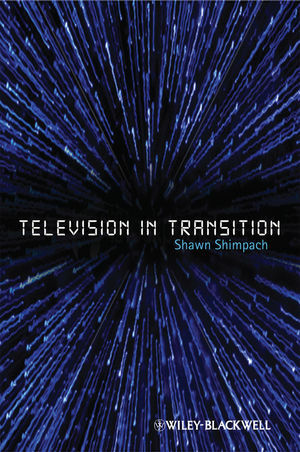 Combining an exciting methodology alongside high-interest case studies, Television in Transition offers students of television a guide to a medium that has weathered the challenges of first-run syndication, a multi-channel universe, netlets, major media conglomerates, deregulation, and globalization--all in the space of twenty years. Shawn Shimpach is Assistant Professor in the Department of Communication at the University of Massachusetts, Amherst. His research has appeared in the online scholarly fourm FLOW, as well as in many journals, including Social Semiotics and Cultural Studies and in the collectin Media and Public Sphere. Introduction: The Time and Space of Television in Transition. 3 How to Watch Television. 4 Highlander: The Immortal Cosmopolitan. 5 Smallville: "No Flights, No Tights": Doing Business with Superman. 6 24: In Real Time. 7 Doctor Who: Regeneration through Time and (Relative Dimensions in) Space. Conclusion: Do We Need Another Hero?